Baggu was born in 2007 from the hand of Emily and Joan Sugihara with a single product. Today, the brand manufactures hundreds of models, with clean designs and bold materials such as leather. Baggu builds high-quality bags, backpacks, and totes, which are environmentally friendly. The item we present today is a classic backpack in a premium material, the softest leather. 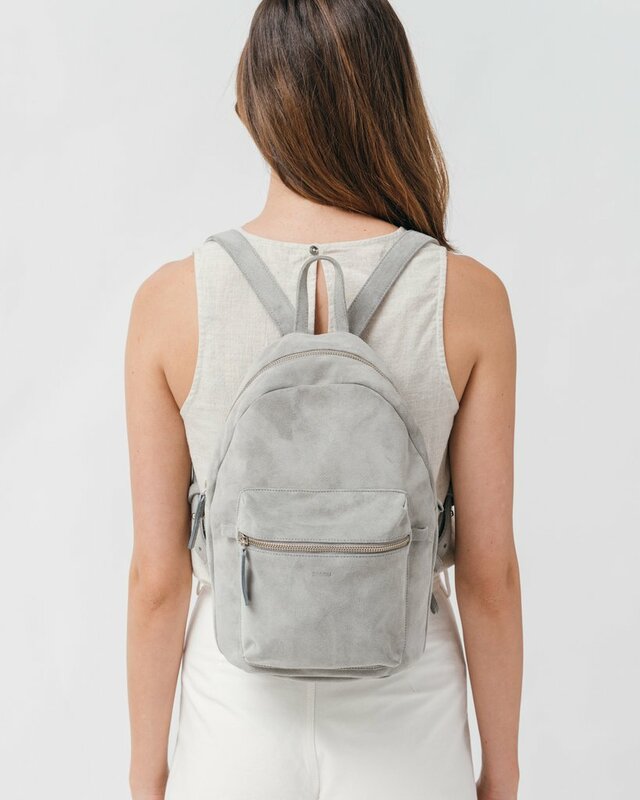 This leather backpack in gray suede can fit an iPad mini, books, and your everyday essentials. It features an outer zip pocket and is fully lined in gray. In our opinion, the best feature is the suede, which is the it-material. 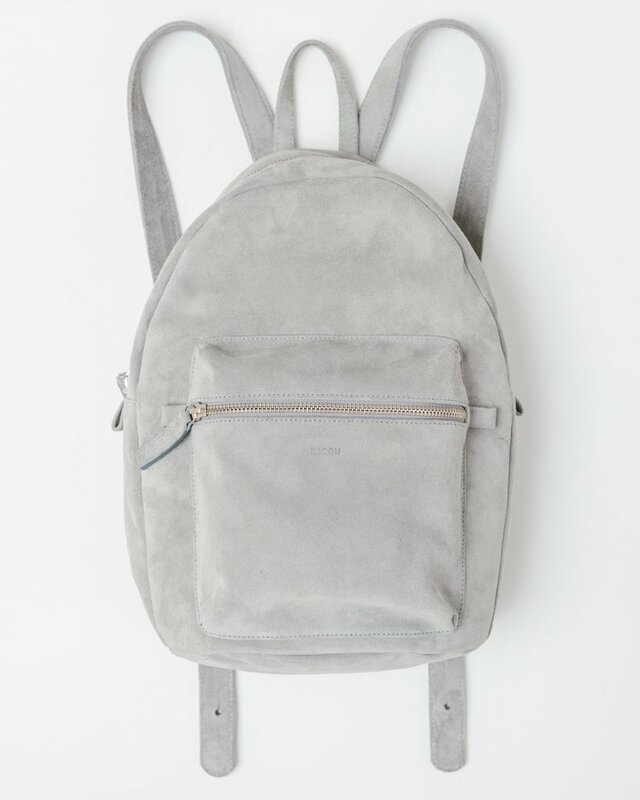 Every great brand is using gray suede in its designs; we see it in clothes, shoes, and bags. Additionally, backpacks are so in right now. Although classic bags will always have a place in our hearts, backpacks are so practical we can’t help but love them. BAGGU Backpack is made in the USA, and you can purchase it in Baggu’s online store and in other retailers online. Not to miss! It is already in our Christmas wishlist.